Not to be confused with Floydian Slip. The Freudian slip is named after Sigmund Freud, who, in his 1901 book The Psychopathology of Everyday Life, described and analyzed a large number of seemingly trivial, bizarre, or nonsensical errors and slips, most notably the Signorelli parapraxis. Freud, himself, referred to these slips as Fehlleistungen (meaning "faulty actions", "faulty functions" or "misperformances" in German); the Greek term parapraxes (plural of parapraxis; from Greek, Modern παρά (para), meaning 'another', and πρᾶξις (praxis), meaning 'action') was the creation of his English translator, as is the form "symptomatic action". 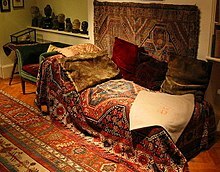 Freud's process of psychoanalysis is often quite lengthy and complex, as was the case with many of the dreams in his book The Interpretation of Dreams. An obstacle that faces the non-German-speaking reader is such that in original German, The Interpretation of Dreams, Freud's emphasis on "slips of the tongue" leads to the inclusion of a great deal of colloquial and informal material that are extremely resilient to translations. In contrast to psychoanalytic theorists, cognitive psychologists say that linguistic slips can represent a sequencing conflict in grammar production. From this perspective, slips may be due to cognitive underspecification that can take a variety of forms – inattention, incomplete sense data or insufficient knowledge. Secondly, they may be due to the existence of some locally appropriate response pattern that is strongly primed by its prior usage, recent activation or emotional change or by the situation calling conditions. Some sentences are just susceptible to the process of banalisation: the replacement of archaic or unusual expressions with forms that are in more common use. In other words, the errors were due to strong habit substitution. In general use, the term 'Freudian slip' has been debased to refer to any accidental slips of the tongue. Thus many examples are found in explanations and dictionaries which do not strictly fit the psychoanalytic definition. In the above, the man may be presumed to have a sexual feeling or intention that he wished to leave unexpressed, not a sexual feeling or intention that was dynamically repressed. His sexual intention was therefore secret, rather than subconscious, and any 'parapraxis' would inhere in the idea that he unconsciously wished to express that intention, rather than in the sexual connotation of the substitution. Freudians might point out, however, that this is simply a description of what Freud and Breuer termed the preconscious which Freud defined as thoughts that are not presently conscious but can become conscious without meeting any resistance. In Freud's theory, he allows parapraxes to be generated in the preconscious, so he would allow for thoughts that one tries to put outside of consciousness to have effects on conscious actions. ^ "Concise Oxford Companion to the English Language - Oxford Reference". Archived from the original on 2017-08-12. ^ a b "Concise Oxford Companion to the English Language - Oxford Reference". Bloom, J. (2007, October). Lecture. Presented at New School University, New York, New York. Baars et al. (1992). Some caveats on testing the Freudian Slip Hypothesis, Experimental Slips and Human Error: Exploring the Architecture of Volition. Jacoby L.L., & Kelley, C.M. (1992). A process-dissociation framework for investigating unconscious influences: Freudian slips, projective tests, subliminal perception and signal detection theory. Current Directions in Psychological Science, 1, 174–179. Freudian Slips Explains what they are and offers examples of slips approached through psychoanalytic means. This page was last edited on 28 December 2018, at 06:56 (UTC).